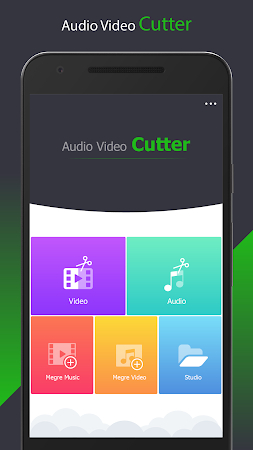 Cut the best part of your audio song or MP4 video and save it as your Ringtone/Alarm/Music File/Notification Tone. Make your own MP3 ringtones/Notifications/Alarms fast and easy with this app. Supports MP3, WAV and most other music formats. 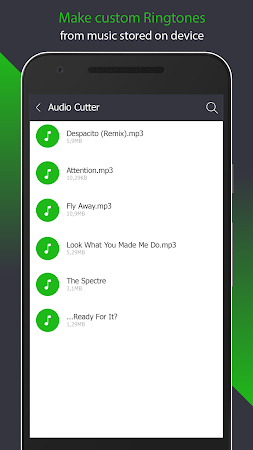 This app is also a music editor/alarm tone maker/ ringtone cutter and notification tone creator. The download of the tool doesn't contain viruses or any kind of malware. This application has been originally designed by 302 Lock Screen and it relates to the Music & Audio category. Users rated the app 4.5 on Google Play. 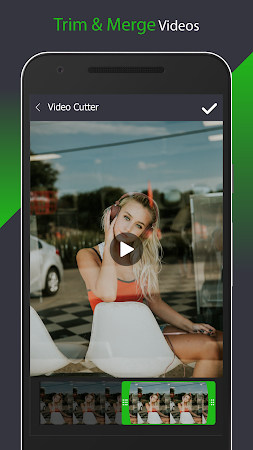 The developer released a new version of the tool on Mar 1, 2019 and over 1M users downloaded and installed Ringtone maker. This application displays advertisements. Download the installer of Ringtone maker 1.8.16 that is free and have a look at users' reviews on Droid Informer. The app is developed for Android 4.2 and higher. One of the best voice changer app. Fast, convenient, easy to use. Best secure vault app to hide photo, video on Play store.